The Governor of Edo State, Mr. Godwin Obaseki has inaugurated a nine-man committee to oversee the N500 million Commercial Agricultural Credit Scheme (CACS) initiated in alliance with the Central Bank of Nigeria (CBN) to de-risk investments in agriculture in the state. 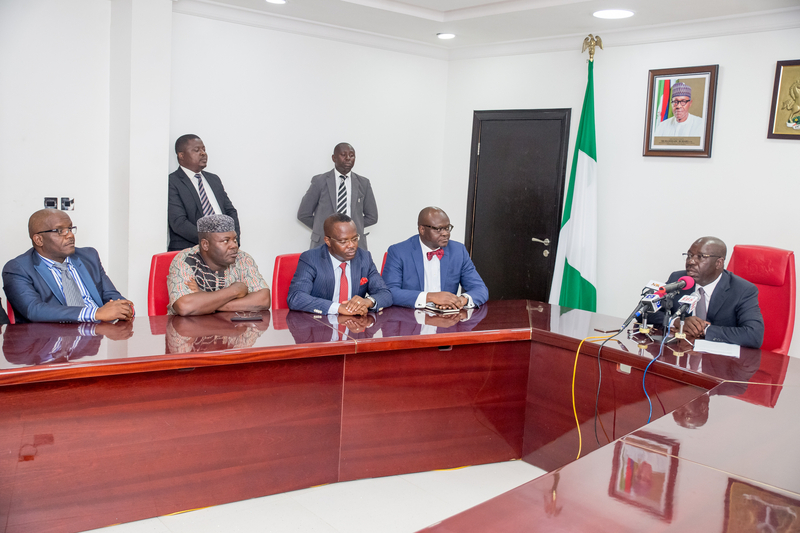 Obaseki inaugurated the committee headed by the Special Adviser to the Governor on Agriculture, Prince Joe Okojie, at the Government House, in Benin City, the Edo State capital. He said the programme, which was set up by the Federal Government through the CBN, is aimed at providing credit for agricultural transactions in the state, stressing that the scheme is critical to his administration’s agricultural initiatives. He said members of the committee were selected based on their expertise and accomplishments, noting that it is not another avenue for political patronage. He emphasised that the idea is to support large scale commercial agriculture so that their growth would stimulate and scale up activities of small scale farmers. “Time, experience and technology are very important in agriculture. We need to engage the services of consultants and experts to work with the committee and use the advantage of the dry season to our benefit,” he said. Governor Obaseki said the committee members would serve as monitoring team and manage funds from the CBN to guarantee its judicious use by farmers across the three senatorial districts. He stressed that government was not interested in agribusiness to start farms, but only interested in de-risking the process and creating an environment for entrepreneurs to emerge and thrive. He said that over N500 million is available from expected funds and the committee’s terms of reference include: to oversee and ensure equitable distribution of fund; promote an efficient and inclusive participation of key stakeholders; ensure proper monitoring and evaluation, guarantee integrity of each access to information; ensure fund usage by beneficiaries are in line with the terms of the scheme; monitor the impact and constantly look for ways to improve the probability of reaching the expected result of the scheme. In his vote of thanks, Chairman of the committee, Prince Joe Okojie, pledged to deliver on the terms of reference and promised to be fair and objective in the management of the credit facility.